• Updated: May 8, 2015 @ 11:30 a.m. EDT (15:30 UTC). • Tracking data from USSTRATCOM indicates Progress 59 burnt up May 8, 2015 at 2:20 a.m. UTC, +/- 1 minute. • Progress entered the atmosphere off the west coast of southern Chile at a distance of 1,300 to 350 km. • It is possible some pieces of debris survived re-entry, and could have landed anywhere from hundreds of kilometers off the west coast of Chile, to hundreds of kilometers off the east coast (meaning some could have fallen on land). • At time of this writing, there are no reports of re-entry being sighted nor any debris being located. • The Progress’ Soyuz rocket launched April 28 on schedule with the unmanned cargo ship carrying 2,357 kg of cargo to the International Space Station. • About nine minutes after launch, as Progress separated from the Soyuz, the cargo ship failed to activate and communicate with the ground as expected. • Data from Progress showed the fuel system did not pressurized and multiple telemetry sensors required for ISS docking failed. • Video downloaded from Progress showed the spacecraft in a spin. • Tracking data showed nearly 50 pieces of spacecraft debris in the vicinity of Progress while in orbit, though the precise nature of the debris is unknown (it could have been debris from the upper stage of the rocket or Progress itself). • The six crew on board the ISS are in no danger as a result of the lost cargo delivery; they have ample supplies on board for many months. 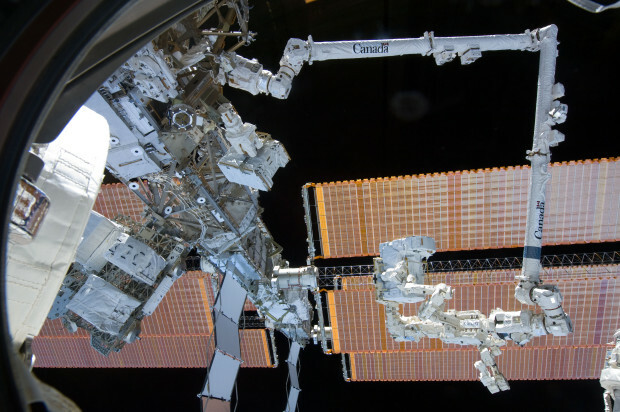 • The next two cargo deliveries to the ISS are set for June (SpaceX Dragon, CRS-7) and August (JAXA, HTV-5). • The investigation into this incident is currently focusing on the third stage of the Soyuz rocket. The launch of Progress 59 (M-27M) went off smoothly at 07:09:50 UTC on April 28 from Baikonur Cosmodrome in Kazakhstan. The unmanned Progress resupply ship was atop an upgraded Soyuz 2-1A rocket, the second ISS resupply flight to make use of the upgraded rocket (the older version, the Soyuz U, had been in service since 1973). Progress 59 was being launched on an express, four hour flight to the ISS, with a fallback two day rendezvous option. Eight minutes, 48 seconds after launch with Progress reaching its preliminary orbit, it separated from the third stage of the Soyuz rocket. It is now believed that trouble began around this time. 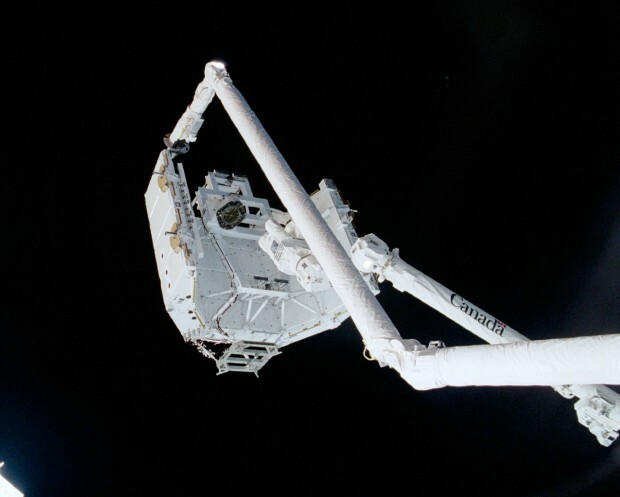 After separation, Progress was designed to deploy navigational antennas, collect flight telemetry, and pressurize the propulsion system manifolds. As ground controllers struggled to maintain contact with Progress, it appeared that systems were not functioning correctly on board the spacecraft. On subsequent passes within range of ground communication stations, Russian controllers attempted to send commands to spacecraft and download data. Progress has refused commands from the ground and has been unable to provide much useful telemetry data, though it did downlink television video data successfully Tuesday morning and supply data showing that multiple telemetry sensors have failed. The fact that the command/telemetry system and the TV system uses different downlink paths has been suggested as the reason that one system is able to function while the other does not. The downloaded TV video showed the spacecraft in a 60° per second spin, or tumble. Causes for this could be a stuck thruster, separation from the Soyuz not being clean, or possibly a system leak. Tracking data also reported that Progress was in an orbit that is more elliptical than intended (data showed the orbit to be 193.8 by 278.6 km, versus the intended 193 by 238 km orbit). This suggests the Soyuz rocket may have slightly over-performed, though does not immediately account for the Progress’ failures. However, it has been speculated an improper shutdown of the Soyuz third stage engine prior to Progress separation may be the culprit. More recent tracking data also indicates there is debris present in the vicinity of Progress, bolstering the possibility that the Progress/Soyuz separation was botched. It is unknown though whether the debris is from Progress or the third stage of the Soyuz rocket body. Despite the best efforts of mission controllers in Moscow and Houston, they were unable to salvage Progress 59 and the craft re-entered the Earth’s atmosphere uncontrolled on May 8, 2015 at 2:20 a.m. UTC, plus or minus one minute according to US military tracking. Based on this time frame, the re-entry took place off the west coast of southern Chile. If the re-entry took place at the earliest part of the window (2:19 a.m.), Progress would have been 1,300 km off the coast. If decay occurred at the end of the window (2:21 a.m.) Progress would have been 350 km west of Chile. Even though re-entry was uncontrolled, there was little danger to anyone on the ground. The Progress vehicles are designed to be disposable and burn up upon re-entry. Still, it is possible that some of the heavy and dense parts of the spacecraft could have survived – namely the docking ring and propellant tanks. 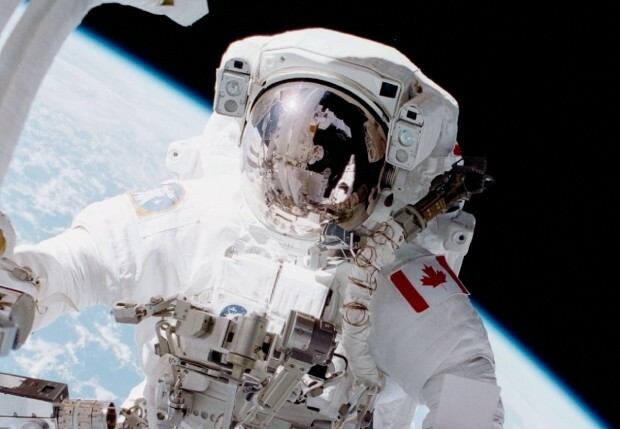 Any debris that did survive re-entry could be scattered from several hundred kilometers off the west coast of Chile to severl hundred kilometers off the east coast – nearly to the Falkland Islands. This area also includes land in southern South America. At this time, there are no reports of anyone witnessing the fiery re-entry or finding any debris on land. It’s very unlikely that any debris that landed in water would be found. A pass of Progress 59 captured from the ground in Buenos Aires a couple hours prior to re-entry. It is also important to note that the six crew currently on board the ISS are in no danger. The crew has ample supplies on board the station to survive productively for many months. However it should be expected that the cargo manifests for two upcoming ISS cargo flights will be adjusted to make up for higher priority cargo lost on this flight. 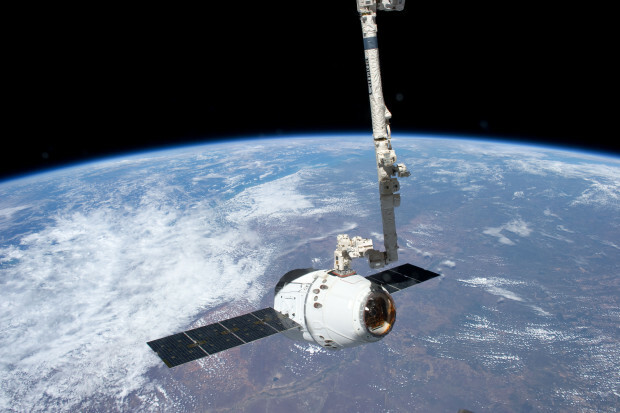 The next scheduled cargo flight to the ISS is a SpaceX Dragon capsule. It’s currently scheduled to launch on June 19, 2015 from Florida on mission CRS-7. Following CRS-7, a Japanese Space Agency (JAXA) HTV cargo ship is set to launch in August on mission HTV-5. There is also presently a Dragon docked with the ISS as mission CRS-6; it will depart the station and land back on Earth in mid-May. Of concern for future flights, including manned launches, is the commonality between the Progress launch vehicle and the rocket used to launch Soyuz TMA capsules – which carry crew to the ISS. If there has been a problem with the common Soyuz upper stages, that problem would have to be addressed prior to use on future missions. Problems with the Soyuz third stage are currently being investigated as the cause of the Progress 59 failure. Skip ahead to 10:50 mark for launch. On the evening of March 11 (Eastern Time; it was the morning of March 12 in Kazakhstan) three astronauts returned home from the International Space Station in their Russian-built Soyuz TMA-14M spacecraft. The astronauts were Elena Serova (RUS), Alexander Samokutyaev (RUS), and Barry “Butch” Wilmore (NASA). The landing went smoothly (as smoothly as a Soyuz landing can go, at least). They touched down vertically, and on schedule, on a cold and foggy morning in Zhezkazgan, Kazakhstan. It was about 30 minutes after sunrise. And in the process of all that, NASA photographer Bill Ingalls took one of the most amazing Soyuz landing photos I’ve seen. …and “amazing” doesn’t really do this photo justice. It’s majestic. It’s almost surreal (I actually looked twice when I first saw it to make sure it was indeed a real photograph, and not CGI). 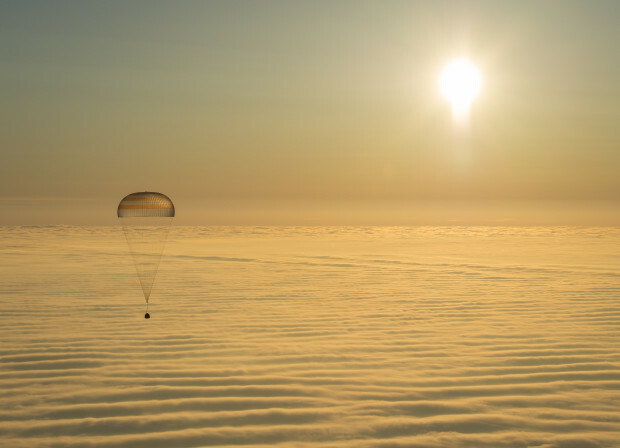 The photo was taken from an aircraft just before the Soyuz disappeared into a layer of cloud on its journey to terra firma. The astronauts had spent about six months on board the ISS as a part of the Expedition 41 and 42 crews. To see some more photos from the landing (and download hi-res versions), check out this NASA Photoset on Flickr.